Zack Novak claimed the first-ever eNASCAR Ignite Series Championship last night along with a $10,000 racing scholarship. 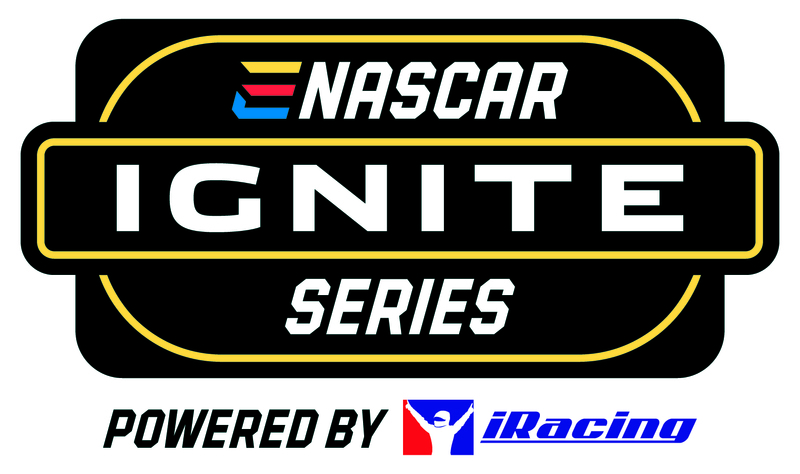 The eNASCAR Ignite Series, the first ever youth esports series on iRacing featuring drivers between the ages of 13-16 years old, hosted its Final Championship event last night. In a winner-take-all format at the virtual Martinsville Speedway, Novak bested the top 30 drivers that advanced throughout the four-race playoff format over the past 12 weeks. 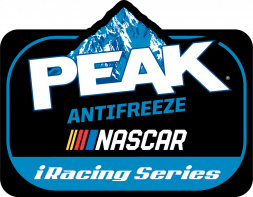 Novak, already a regular contender in the NASCAR PEAK Antifreeze iRacing series (NASCAR’s highest-level eSports series), has proven to be a multi-dimensional driver by winning on the biggest eNASCAR stages in both Legends cars and Monster Energy NASCAR Cup Series cars as well. During last night’s Championship event, the top four finishers from each heat race, as well as the last chance qualifier (LCQ) would earn starting positions in the 30-lap final. Heat #1 saw pole sitter Dylan Ault find trouble early and drop out of contention opening the door for Zack Novak and several others to move to the front. Top seed Garrett Lowe worked his way to a transfer spot before finding trouble on a last lap pass for the win, and ultimately finishing fifth, just one spot out of an automatic transfer to the final. At the end of the ten-lap race Zack Novak, Daniel Silvestri, Spencer Tart and Aaron Mulrooney Jr had secured starting spots in the final. Everyone else had one last chance in the LCQ. Heat #2 was a much calmer race with the top three qualifiers holding course and easily transferring to the final. Fifth place qualifier Mike Neal was able to get the final transfer spot after Niclas Laubisch dropped back to seventh. The transfer drivers from heat #2 were: Austin Edwards, Briar, LaPradd, Andy Trupiano and Mikey Serra. 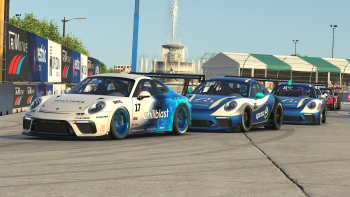 Aggressive driving in Heat #3 lead to several incidents on track, ultimately taking out second, third and fourth place qualifiers. This opened the door for the rest of the field to earn the transfer spots to the final. Pole sitter Dave Walsh easily won the race with Jake Matheson, Ryan H Papasian and Dillion Hodge rounding out the top four and earning transfer spots to the final as well. 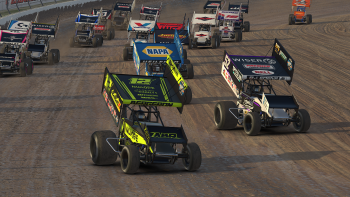 The last chance qualifier gave those that didn’t transfer directly from the heat races one last opportunity to earn a starting spot on the grid for the final. Several drivers were able to redeem themselves from disappointing performances in their respective heat races including series favorite Garrett Lowe and Heat 1 pole sitter Dylan Ault. Devein Serra and Ryan Matthews also earned transfer spots to the final by finishing in the top four. The 30-lap final race would feature the 16 drivers who transferred with Novak starting on pole. Walsh, Edwards and Silvestri would fill in the rest of the front two rows as the green flag dropped. Novak and Walsh started well and pulled ahead of the field. Novak would ultimately lead all the way to the checkered flag. Walsh tried to put some pressure on the leader but Novak was simply too fast and too consistent to get close enough to even attempt a pass. 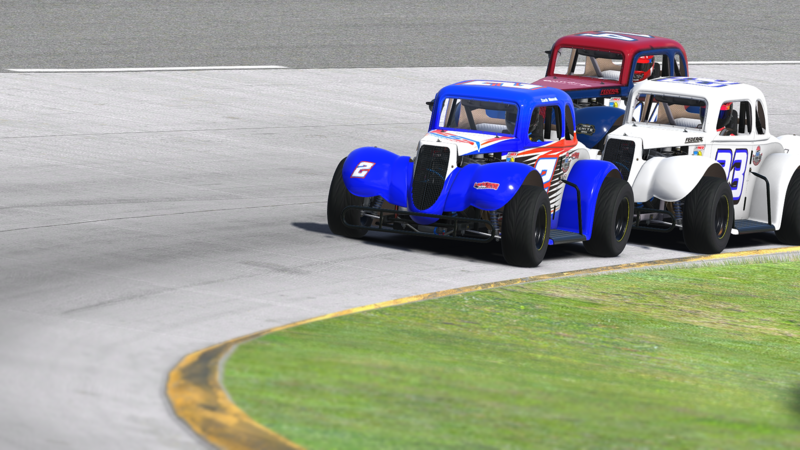 The top three finishers, Novak, Walsh and Edwards, showcase the diverse and broad appeal of eNASCAR racing on iRacing. Novak is from Connecticut, Walsh is from Ireland and Edwards is a California native. 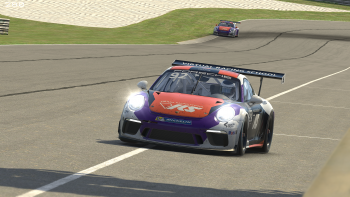 Utilizing the iRacing eSports platform makes it easy to bring drivers from around the world together to compete on a level playing field. Novak’s dominant victory in the final earned him the $10,000 racing scholarship as well as a slew of other prizes – a one-on-one driver instructional session with Max Papis (including one of his MPI steering wheels), an introduction to NASCAR racing development personnel, a SimSeat simulation cockpit and seat with monitor stands, a Martinsville Speedway VIP experience with Champion acknowledgement, NASCAR Racing Experience Voucher, and a VIP iRacing account. To learn more visit www.iRacing.com/NASCARIgnite.